I have wet felted a white wool purse for myself. I started the purse by wrapping a cereal box in plastic and then in bubble wrap. ( I forgot to take a photo of the box wrapped up). 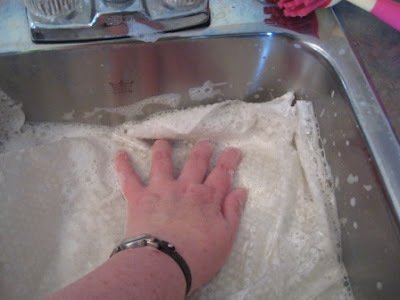 I started to layout white merino wool on my box. First in one direction and then the other direction. I wet it in warm water and soap. The box with the wool on it, fit nicely into the small vegetable sink. I fully enclosed the the box with felt. I played special attention to the corners as I was worried about not getting enough wool into the corners. 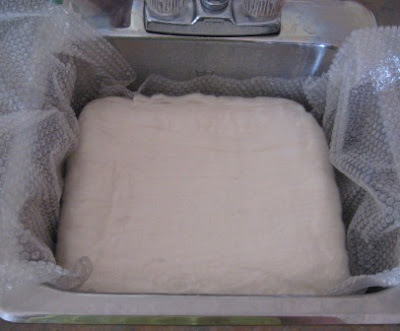 I used bubble wrap under and around the box and wool as it sat in the sink. I rubbed the top and side of the wool to get it to start to felt. I would stop rubbing and add another direction. When I thought I had enough wool on my box, I cut open a top and took out the box. This will be the opening to my purse. I will not have any seams in my purse this way. I also rolled the purse on the counter with a piece of plastic inside. I was trying to make sure I had it well felted. I rinsed it well of all the soap and also poured boiling water on it. I also wanted to have handles for my purse. Here I am rolling the wool to felt using a sushi mat. I have a cotton cord inside the wool handle. 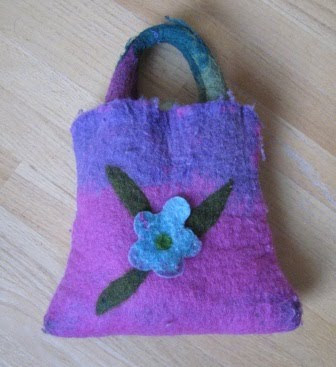 I wanted to make a purse from felted wool for years. I bought this one from the Alberta Craft Council about five years ago or more. 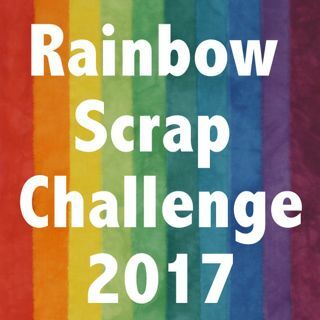 I love it and wanted to try my own some day. I was unsure how much wool I would need to use so I thought I would make a white one the first time. Next time I will have a better idea of the amount of wool I will need to dye. I have not finished my purse yet. It is drying now. I plan to embellish it with beads when it is dry, I may add some other embellishments like silk or flowers. I also only have the handles placed into the holes I cut. 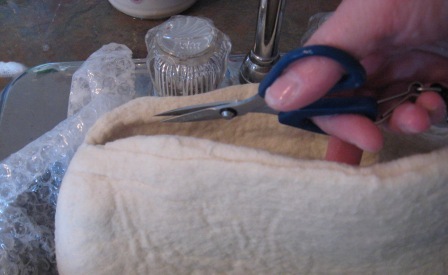 I have to sew them in place so they do not fall out. I did not felt them in like my brought purse. I like the shape of my new purse, it is larger and will sit on the floor better. After embellishing I will have to show the finished project. I just thought of an idea, I could dye my purse a colour with my wool dyes even now that it is felted. I will have to think on that for a few days. Love your white bag and the cereal box idea! I had also wanted to make one for a long time because I had bought one and then recently did! Thanks for following along on my blog, too!